“The office is comfortable and the staff are nice. Dr. Alidadi is a great dentist. She’s very patient with me. She has a good heart and is a very good person. I am very happy with my implants and she makes me very comfortable. I no longer have pain in my teeth thanks to her, and I have confidence in my smile again! 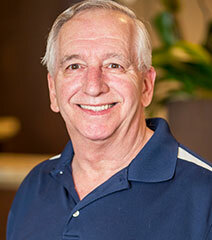 “Since day one, Dr. Alidadi has been an outstanding specialist. I’m super-afraid of dentists. The care I received from her and the staff was gentle and of the highest quality. I’m very happy with the results. I would recommend her service to family, friends and anyone else, for that matter, without any hesitation! 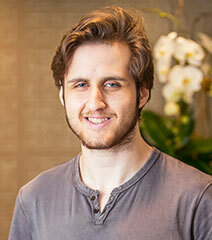 “I really enjoyed the Invisalign treatment I received here. Everyone at the office helped to make my treatment worry-free and successful. They checked in with me often to make sure the process was going smoothly. 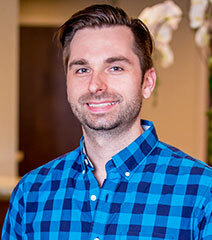 When you keep up with your Invisalign treatment, the end results are wonderful, and that is what I received here at Westchester Gentle Dentistry. 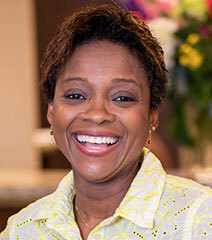 “The environment of Westchester Gentle Dentistry is consistently professional and immensely welcoming. The staff embodies this spirit, and possesses competency and efficiency in everything they do. Dr. Alidadi has a cool and collected demeanor. “The treatment was thorough. Dr. Alidadi and the staff were professional and welcoming. They are friendly, helpful and considerate. My procedure was explained, my questions and concerns were addressed, and finance options were explained. “When I came to Dr. Alidadi’s office, the condition of my teeth was poor. Dr. Alidadi has been great. She takes the time to make sure you are comfortable, and she explains the procedure. The office staff is very friendly and very professional. 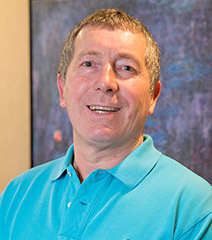 “The dental practice has a very relaxed feel. The staff are friendly, professional and competent in all aspects of dentistry. They have state-of-the-art equipment to provide excellent dental care. “Dr. Alidadi is patient, approachable, helpful and knowledgeable. She answered all my questions in a clear and easy way. She would go above and beyond to help my dental issues. “Ever since I started seeing Dr. Alidadi, I felt like I could trust her. She is very kind and cares about the patient. 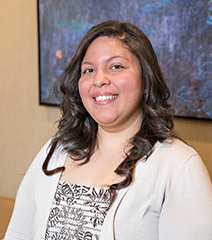 She explains all the treatments, and also tells you the best preventative care. She is gentle and makes dentistry look easy. “When I first heard about Invisalign, I did not believe that a tiny piece of plastic was powerful enough to straighten my teeth. As time passed by, I was proven wrong. My teeth moved rapidly. Now that I am on the last stage, I can simply say that Invisalign actually works, and it was a great decision to complete the procedure. Moreover, I liked how Dr. Feryal Alidadi always had an open schedule, so it became easy for me to come in and do my check-ups. “The staff and doctor are fantastic! They are always professional and friendly. I never have to worry about anything, i.e. fees, pain or pressure to do anything with my teeth. Dr. Alidadi is very straightforward, and I trust her opinion and work! “I was that kind of person who was afraid of the dentist. I saw a lot of dentists around here, and all the work they did was very disappointing. I said to myself, ‘I will try Dr. Alidadi,’ when I saw her in the newspaper. I called the office and my first impression was that the secretary was sweet, and I made the appointment right away. “Dr. Alidadi and her staff are phenomenal. From the first day I walked into the office, I was treated with respect. I walked in the office afraid because I haven’t visited a dentist in several years. “Dr. Alidadi felt my fear and immediately jumped into action. She played soft music to help calm my nerves. Then she began explaining to me how the process would work and the benefits of getting the treatment. She did not “sugar coat” anything. She told me what was needed to be done and explained my options. She did not pressure me to make a decision. She just laid it out up front. 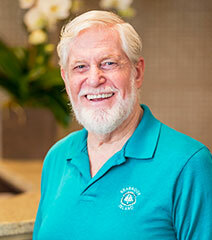 “From the first time I walked in here I knew this would be a different dental experience. I was greeted with kindness and a smile. By the time I had to meet Dr. Alidadi and her assistant, I was very comfortable. Dr. Alidadi took the time to explain to me what work I needed done and how important it was to my overall health. “I hadn’t seen a dentist in almost 20 years and my teeth suffered tremendously. I found out about Dr. Alidadi on the internet and decided to go to her after I read some great reviews online. Everything about the practice is 100% wonderful! The staff is amazing and friendly, and my treatment was extremely comfortable. Dr. Alidadi is straightening Lissette’s teeth with Invisalign “invisible” braces. Ana likes Dr. Alidadi’s professionalism. Dr. Alidadi helped Carmen’s smile shine through. Dr. Alidadi’s high standard of dental care is appreciated. 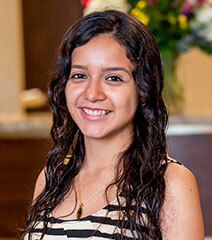 Dr. Alidadi used Invisalign to straighten Alejandra’s misaligned teeth. “Dr. Alidadi makes the Invisalign procedure and experience very comfortable. She is patient and friendly. And her office staff is very nice and takes care of all my needs. Deborah originally came in to see Dr. Alidadi because she had crooked teeth. Dr. Alidadi treated Yacynth for gum disease and a crooked smile. 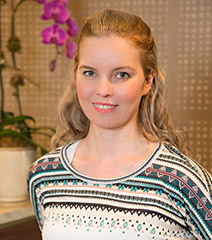 Dr. Alidadi used Invisalign to give Magdalena a straight, confident smile. Gwendolyn first came to see Dr. Alidadi for a checkup and cleaning. Dr. Alidadi fixed Amadeus’ cavities, cleaned his teeth and enhanced his gums. “My sister is a patient of Dr. Alidadi and recommended her to me. Dr. Alidadi always keeps up with the latest practices in the dental profession. And she always makes sure her patients are very relaxed and comfortable during their procedures. 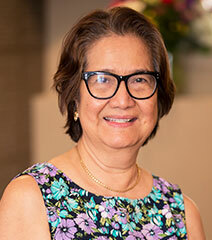 Dr. Alidadi restored Mirtha’s smile with dentures, crowns and gum disease treatment. “My teeth were not in good condition. And I had pain from infected gums. “I went to a different dentist and it was a terrible experience. From the beginning I found Dr. Alidadi to be very nice, pleasant and professional. She told me about all the work I needed and why I needed it, which made me feel comfortable. Dr. Alidadi straightened Jennifer’s teeth with virtually invisible Invisalign. Dr. Alidadi restored Joe’s smile with a partial denture. Lauren originally came in to see Dr. Alidadi for an exam, cleaning and whitening. 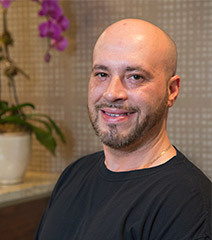 Dr. Alidadi replaced a crown and straightened David’s teeth with Invisalign. Jose thanks Dr. Alidadi for her gentle, personalized care. 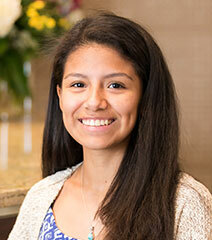 Gabriela likes the fact that her teeth are not only healthy, but look good too. “I have received dental work from Dr. Alidadi and I have found her to be a complete professional and she does very good work. She is also very patient. “Not only does she make sure your teeth are healthy, she also takes a lot of time on the aesthetic appearance of your teeth. Rosemary appreciates the care and friendliness. “Like most people, I don’t like going to the dentist. Dr. Alidadi is very compassionate and caring. She explains everything that she will be doing and actually makes you a partner in your dental care. Michael enjoyed the professional care. MaryAnn is very pleased with her results. 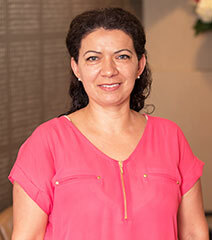 “When I came to Dr. Alidadi, my gums were in really bad condition. I had swelling, pain and bleeding. Dr. Alidadi then recommended laser treatment. She had explained it was less invasive and had quicker healing time than normal gum surgery/treatment. Initially I was reluctant, but gave it a try. Lillian is glad she found Dr. Alidadi. Joan had her teeth saved. Dr. Alidadi helped Angela restore her teeth to a healthy state. 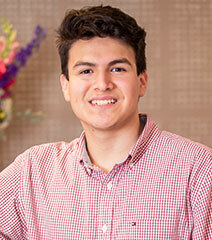 Eliseo’s procedures were given gentle and careful attention. “I started visiting this office through my wife’s recommendation since she had been visiting this office since before we were dating. At one point, I stopped coming because of the distance and started visiting a dental office closer to where we lived. “Unfortunately, I was unhappy with that dental office and decided to come back to Dr. Alidadi’s office, regardless of the distance, because she is professional and does her job well. 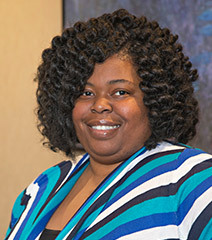 She takes good care of her patients and cares about how their teeth are maintained. The staff is professional and friendly. Reed had dental treatments that were pain free and effective. Professional and sincere care for your entire family. “I’ve been coming to Dr. Alidadi for about 3-4 years. Me, my husband and our daughter have seen her and we are satisfied with her professionalism and sincere concern about us as people. My husband had a tooth removed and says he never felt a thing. Comfortable and relaxing treatments that put you at ease. “I walked into Dr. Alidadi’s office for a simple tooth extraction. During my office visit, Dr. Alidadi’s staff treated me with tenderness, love and care. “My nerves had gotten the best of me, my blood pressure was elevated and I was extremely afraid. Dr. Alidadi made my office visit the best experience I’ve ever had. She played soothing musing to lighten the mood. 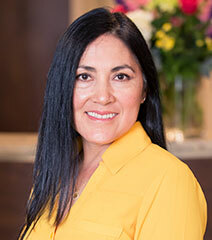 Karen came to Dr. Alidadi looking to improve her dental health and received high-quality treatment. 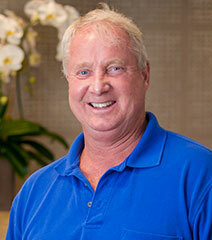 “A year ago, I was looking for a good dentist who could solve my dental problems. I remember being very afraid when I first came in to Dr. Alidadi’s office. She and her kind staff quickly put all of my fears to rest, and reassured me. I have to admit that I’ve always hated dentists, but Dr. Alidadi has changed all that with her immense patience and understanding. Emily is very happy with her results.